It's easy to lose yourself for hours in the regular console or PC version of Fallout 4. 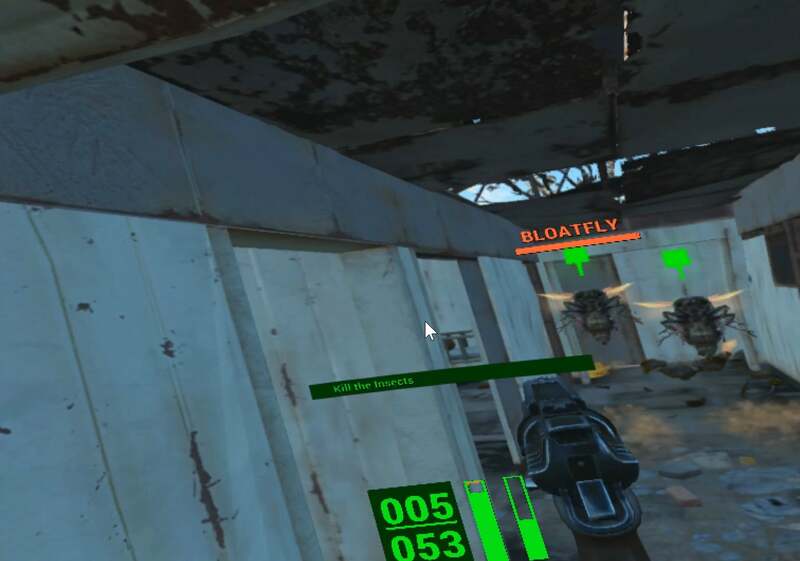 One would imagine it's even easier when completely surrounded by the sights and sounds of the Bostonian wastes in the Vive-exclusive Fallout 4 VR, but when you're just a pair of objects floating in space, it isn't quite the same. Mind the audio, it's not easy self-miccing while standing and playing VR. I haven't played Skyrim VR, which made one of my colleagues nauseous (though it didn't stop her from wanting to play more). Nor have I played Doom VFR, which Tim Rogers did not enjoy. Fallout 4 VR is my first exposure to a big Bethesda release ported to virtual reality. I've played and enjoyed Fallout 4 on PC and Xbox One, and this is basically that same game, only expanded to take up a 360 degree field of view and tweaked to work with the HTC Vive's unique controls. In the opening moments of the game, before the Vault Dweller emerges from Vault 111 after oversleeping for a couple of hundred centuries, it's hard to ignore that unique control scheme. Before picking up a weapon or acquiring the iconic Pip-Boy, the player waves around a pair of virtual HTC Vive controllers. Welcome to Vault 111! Nice Vive controller! Depending on menu options, players can either navigate the game by pointing to a location and teleporting (which uses up Action Points based on distance) or more traditional direct movement using the left thumb pad to move in all directions and the right (or simply turning around) to change the view. I preferred actually moving to teleporting, but the Vive pad is very sensitive, moving my character with the slightest brush. Ideally a player will want to be able to turn around on their own while playing, as the right pad turning controls move in angle increments instead of turning smoothly. 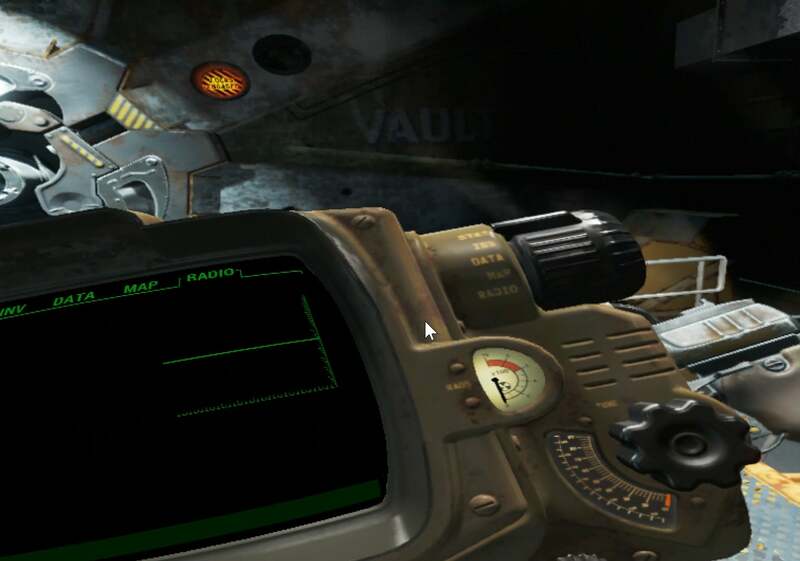 Once fully kitted out with a weapon and the Pip-Boy, the phantom Vive controllers are replaced with a floating computer interface and whichever weapon is equipped (unequip your weapon and the Vive controller comes back.) There are no hands. There are no arms. Just these objects in the air, moving as your real-life hands move. My Pip-Boy and pistol are in love. It's quite illusion-breaking. It's hard to take my character and his quest to find his missing child seriously when he's a herky-jerky presence bobbing along the wastes without physical limbs like some post-apocalyptic Rayman. Swinging your arm to bash things with physical weapons is fine. Gunplay isn't too bad, maybe a bit imprecise before you get your hands on something with a working sight. The tweaked V.A.T.S. combat system works well, turning battles into slow-motion shootouts rather that stopping the action. But without arms, are you really holding that gun? Instead of rifling through cabinets with virtual hands, opening containers with physical movement or manipulating items in real-time, we have the same menu-based interface of the console and PC version. Fallout 4's world is a vast collection of amazing objects that all come together to create one of the most atmospheric games ever. Virtual reality could have given us a chance to interact with those objects in completely new ways. It didn't. The biggest missed opportunity for greater involvement via virtual reality comes when the player arrives at the Red Rocket service station, where they're greeted by a new friend. 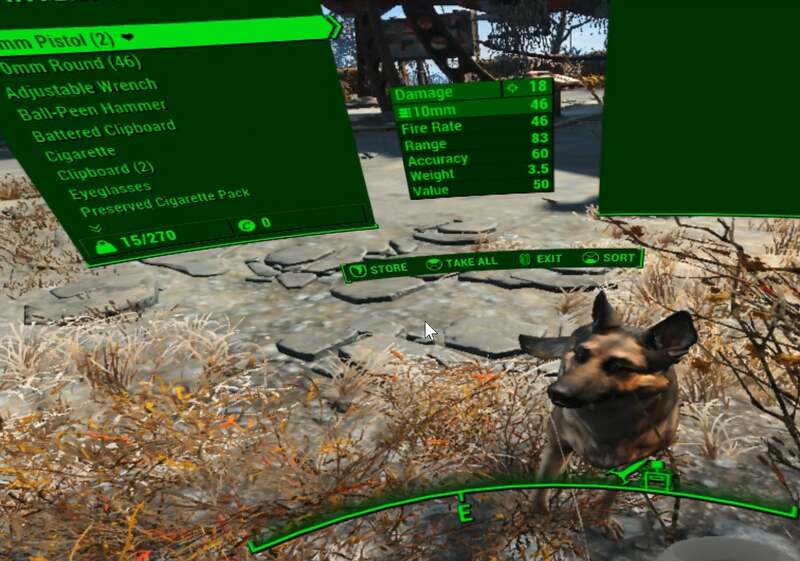 In the video atop the post I am excited to see Dogmeat, sure. I may even sing about him. But I cannot touch the dog. I cannot kneel down and pet him. I cannot scritch behind his ears. I want to hug him, but I can't. I'm Edward Scissorhands, only without the scissors. Or hands. Fallout 4 VR is one of the most expansive virtual reality games yet, but it's an inferior port. The graphics in the Vive headset are a bit blurry, the controls a bit wonky, the landscape now-and-then gets a little glitchy. The non-VR version is a much better game that's far easier to enjoy. Making an amazing virtual reality game isn't as easy as taking one of the best non-VR games and adding VR to it. 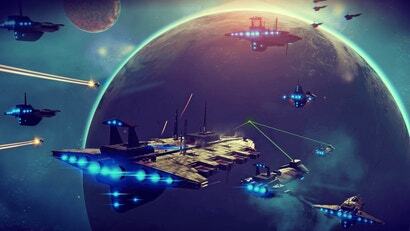 To really shine in virtual reality, a game needs to be built with the technology in mind. 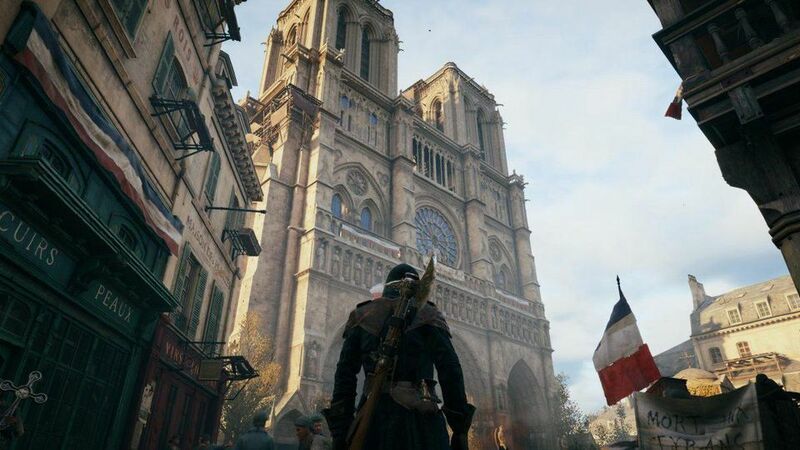 A player should be able to interact with their environment as if they were there. Hold the gun. Open the door. Pet the dog.